Breakups are never easy, especially when an ex is rumored to have moved on with a close friend.In an interview with The Cut published Sunday, Lena Dunham opened up about her split from Jack Antonoff and whether he dated Lorde after their breakup. As fans will recall, Dunham and Antonoff ended their five-year relationship in January. Just a few weeks later, rumors started spreading that the Bleachers singer and the “Royals” star were dating. While Antonoff reassured his Twitter followers he was “not seeing anyone” at the time, the two continued to raise eyebrows. According to The Cut, Lorde and Antonoff both discussed how he introduced her to American cereal and how they regularly FaceTimed during their guest appearances on late-night talk shows. In addition, Lorde was reportedly spotted sitting on his lap during her tour stop in Brooklyn, and a fan even made a viral PowerPoint presentation accusing Antonoff of cheating on Dunham. 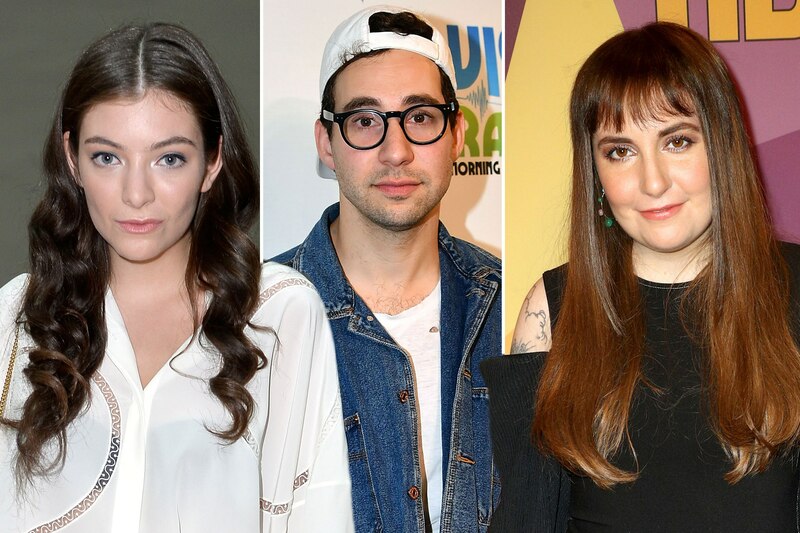 Fans also speculated on their relationship status after Antonoff, who had produced her latest album, sat next to Lorde at the 2018 Grammys. Lorde has also denied dating Antonoff in the past. Now, it looks like Antonoff and Dunham are both in new relationships. According to The Cut, Dunham has been “very casually seeing an artist she met through mutual friends.” Meanwhile, the publication claims Antonoff has been romantically linked to model Carlotta Kohl.Reflecting on their romance, Dunham admitted she and Antonoff should have called it quits sooner but didn't due to her health. The actress had a hysterectomy a month before their split.